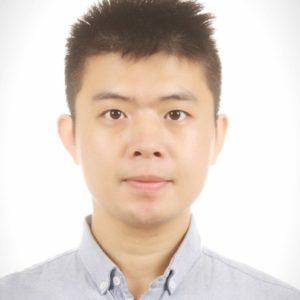 Bin Wei is a Research Fellow in the Atomic Manipulation for Quantum Nanotechnology group, Department of Quantum Materials, Science and Technology (QMST). He has been working on electron microscopy and in situ characterization. Currently, his research topic is about 2D materials and devices. He focuses on probing the structure-property interplay of 2D material systems at the atomic scale. His research interest also includes characterization of energy materials by aberration-corrected transmission electron microscopy. He obtained a Ph.D in condensed matter physics from Beijing University of Technology. He has done his post-doctoral work at McGill University, where he worked on TEM and SEM characterization of battery materials. After that he worked as research professor at Sungkyunkwan University in South Korea, where he concentrated on Phase transition in 2D-MoTe2 and stacking devices. Wei, B.;Ji, Y.; Gauvin, R.; Zhang, Z.; Zou, J.; Han, X.D. Strain Gradient Modulated Exciton Evolution and Emission in ZnO Fibers. Scientific reports 7 (2017): 40658. Yu, Y.,Dou, X.M.,Wei, B., Zha, G.W., Shang, X.J., Wang, L.,Ni, HQ; Sun, B.Q. Self-Assembled Quantum-Dot Structures in a Hexagonal Nanowire for Quantum-Photonics. Wei, B., Ji, Y., Han, X.D., Zhang, Z., Zou,J. Variation of exciton emissions of ZnO whiskers reversibly tuned by axial tensile strain. Shao, R.W., Zheng, K., Wei, B., Zhang, YF., Li, Y. J., Han, X.D., Zou, J.
Band-gap-engineering and manipulating electronic and optical properties of ZnO nanowires by uniaxial strain. Wei, B., Zheng, K., Ji, Y., Zhang, Y., Zhang, Z., & Han, X.D. Size-dependent band-gap modulation of ZnO nanowires by tensile strain.